Where do we begin? 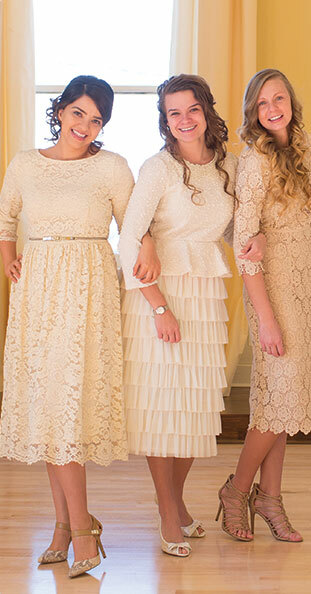 This little modest dress has so many sweet touches! From the full-length ruffle sleeves, to the flattering waistband, to the large ruffle hem, to the attractive stripes, there is everything to love about this vintage dress. Beautiful hues of cranberry, taupe, navy, and white. So perfect for autumn outings, church services, and a day on the town! Woven fabric.